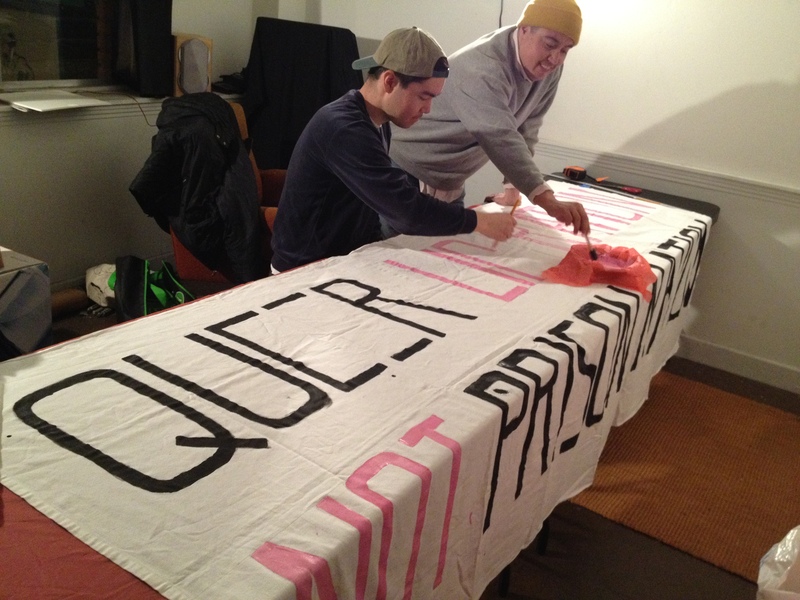 We will be screening Criminal Queers at Outfest in LA on July 13, 2013 as part of the Platinum series. 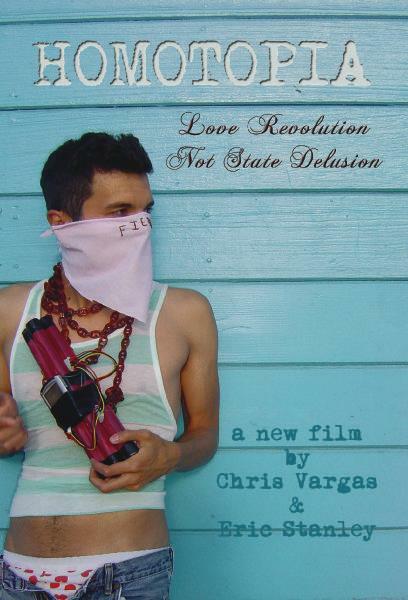 The screening is at at 7:15pm at REDCAT. More info can be found here. 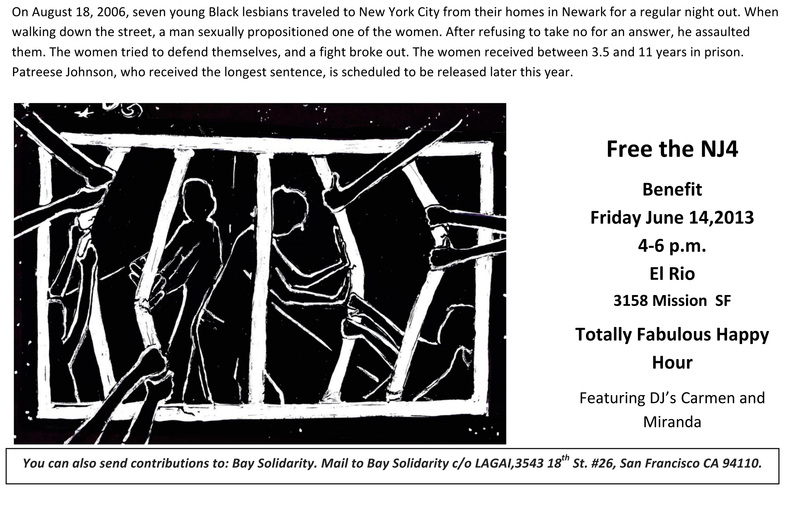 Also, there is a fundraising effort to help Patreese (one of the NJ4) transition out of prison and back home. If you can donate please do so, and if not help us spread the word far and wide. Here is the link to the online campaign. If you are in the Bay Area, there is also a benefit for her right around the corner. Chris, Eric and a bunch of people from Criminal Queers will be heading to the action at Chowchilla on Saturday January 26, 2013. You and your friends should come too! The California Department of Corrections and Rehabilitation (CDCR) is converting Valley State Prison for Women into a men’s prison in response to a U.S. Supreme Court order to reduce overcrowding. Instead of releasing people, they are squeezing over 1,000 women and transgender people into the two remaining women’s prisons. This has aggravated overcrowding (bringing Central California Women’s Facility’s population dangerously close to 4000), created dangerous conditions and health care is getting much worse. What’s more, they have added yet another men’s prison to their inhumane system. COME SHOW SUPPORT FOR ALL PEOPLE LOCKED UP IN CHOWCHILLA’S PRISONS! TELL THE FEDERAL JUDGES OVERCROWDING MUST STOP NOW! BRING OUR LOVED ONES HOME! Thursday October 4, 2012 7-9pm University of WI- Madison, Red Gym, Maisley Media Room Fb event page is here. Wednesday October 10, 2012 7:30-9:30pm Rutgers University, New Brunswick, New Jersey, Douglas Campus Center Fb event page is here. Its part of the Radical Education Summit San Diego. Here is the fb page. 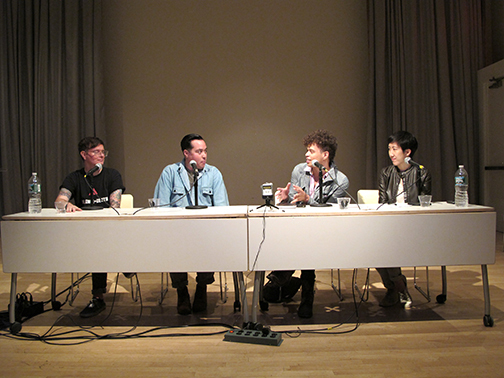 We had a wonderful time at the screenings at the New Museum and The Sylvia Rivera Law Project, thanks in large part to the work that Jeannine Tang and Reina Gossett did to make it all happen. More about the framing of the events is available here on the New Museum’s webpage and you can see some photos and listen to the audio here on the “We Who Feel Differently” webpage. We are also still filming (see it never ends) but are trying to tie up any ends by the fall. In October we will be in WI and NYC, NJ and PA, more info on that soon. 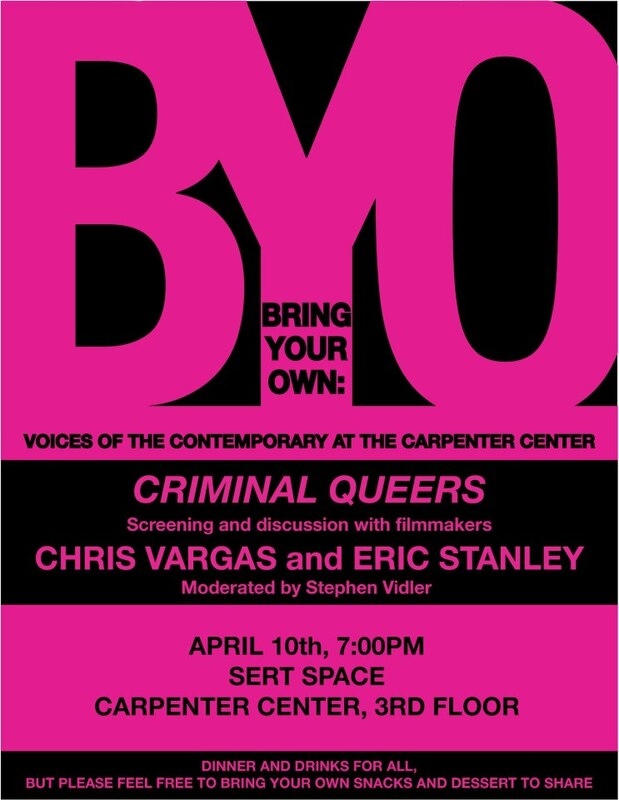 If you want to set up a screening of Criminal Queers, hit us up, and also, if you teach at an institution asking them to order a copy of Homotopia is a good way to support Criminal Queers (it is entirely self-funded) while also making sure radical films get archived.